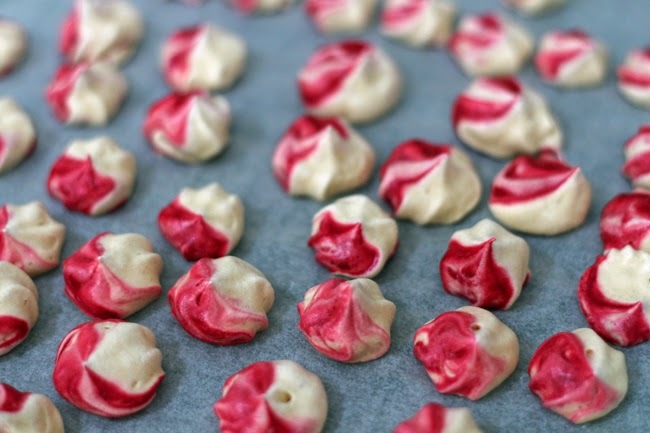 Aren't these little peppermint meringues just perfect? Swirly, pink and peppermint. The only thing they are missing is a little bit of sparkle (such a shame I don't have edible glitter). We had egg whites left over from when Bryn made his tapioca and I used this recipe. They just melt away on your tongue and I can't stop eating them! 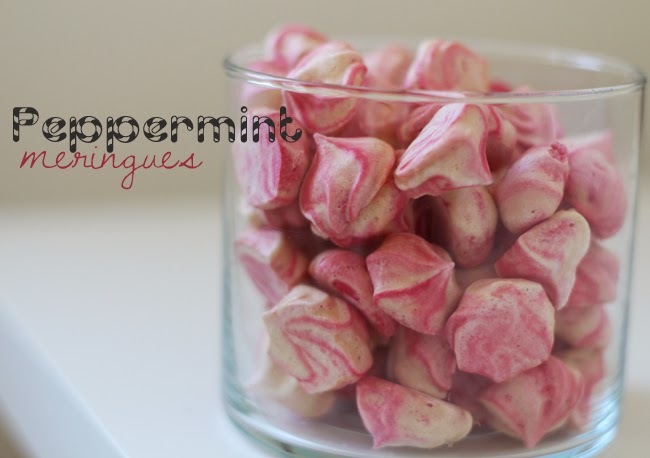 I might have to experiment with melting them in hot chocolate...maybe it will be my peppermint mocha fix?? These look and sound AMAZING! I am definitely pinning! Thanks :) they are dangerously delicious, and really easy to make! !